The 5G hype train left the station a long time ago, running at full speed towards its expected 2019 launch window. Between faster speeds, lower latency, and better support for IoT devices, it’s clear the new standard will deliver a step up in connectivity. What about past that? It seems like even those closely involved in 5G don’t know what kinds of killer apps it will support. 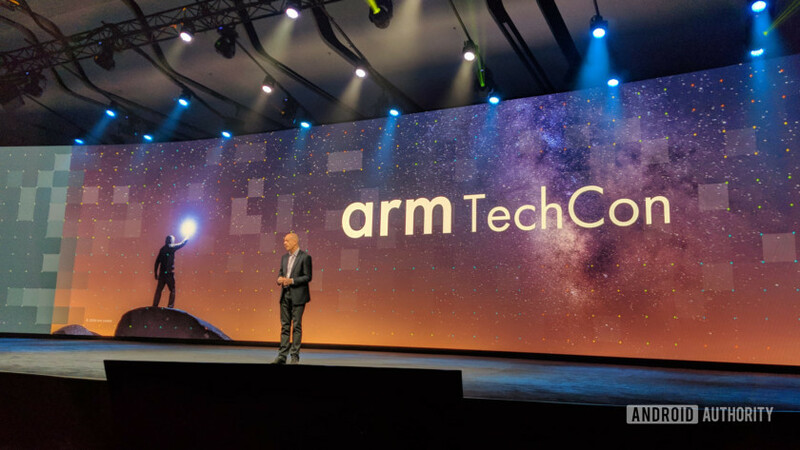 Arm CEO Simon Segars recently told TechCon attendees 5G would enable new services and business, but acknowledged there isn’t a killer app for the next-generation of cellular connectivity just yet. “When we think about 5G, it’s hard to say right now what this transformational business is going to be that comes off the back of it,” said Segars. The Arm CEO used the example of 2G networks bringing text messaging, saying 5G will enable new technologies and services in the same way. “Now, [text messaging] was a bit of an accidental discovery but, pretty soon, people worked out how to monetize it,” he elaborated. Segars says voting in TV shows via text message was one prominent way to monetize the technology. The sentiment was echoed by Mohamed Awad, Arm’s vice president of infrastructure business, who told Android Authority the new standard is an “enabling technology” with unforeseen use cases. “I don’t think anyone four, five or maybe 10 years ago could imagine that you could pick up your phone and order a meal or a car,” he said. Phil Bourekas, Arm’s director of marketing for network infrastructure, touched on possible use cases, saying high-density events and bullet trains will benefit from 5G. “But I don’t think that the most obvious or compelling thing is known or out there yet,” he added. The cloud will behave like local storage? Meanwhile, Qualcomm senior director of product management Miguel Nunes told us 5G could change the way people look at data on devices, especially in the enterprise sector. “So as data starts moving to the cloud, the faster access you have, the better the user experience is going to be,” Nunes said. “It’s almost like you’re going to have local storage type performance. Basically, it’s an IT manager’s dream,” the Qualcomm executive notes, pointing to tighter security as a result of using the cloud. This sounds ideal for IT and enterprise usage, especially if 5G comes to your work laptop, but it doesn’t seem to give the average user a great reason to upgrade to a 5G phone. After all, LTE already delivers great latency and speeds, as our own Robert Triggs says. Then there’s the question of access. It’ll take years for 5G to approach LTE’s level of coverage, owing to the expensive and extensive infrastructure required. The switch to 5G presents a significant infrastructure challenge for carriers compared to earlier transitions. For one, Arm’s Phil Bourekas notes that 5G networks require more cell towers compared to legacy networks. “5G in general is going to require both new equipment to replace old, as well as, given the data rates and carrier frequencies, you’re just gonna have to have a higher density to achieve geographic coverage,” he said. Bourekas noted that the need to deploy more infrastructure compared to legacy networks makes for a more expensive outlay for carriers. According to him, it’s not clear whether there’s a business model in place to account for the investment. One potential business decision might be the move to increase the cost of unlimited plans. It wouldn’t be unheard of, either, as Sprint CEO Marcelo Claure confirmed earlier this year its unlimited 5G plans would be more expensive than current unlimited LTE plans. Nevertheless, Qualcomm’s Miguel Nunes reckons if anything, the cost of mobile data will come down with 5G. What would make you immediately upgrade to a 5G phone? Let us know in the comments!